Sagebrush Cafe - The Sagebrush Cafe Story... we like coffee and art. We are a locally owned independent coffee house serving the Antelope Valley, located in Quartz Hill (42104 50th St. W.). Opened in April of 2009, we are a small, neighborhood coffee house, an alternative to the big chains, and a venue for culture. We offer a genuine experience and make every attempt maintain an independent identity and spirit. The Sagebrush Cafe Story... we like coffee and art. We are a locally owned independent coffee house serving the Antelope Valley, located in Quartz Hill (42104 50th St. W.). Opened in April of 2009, we are a small, neighborhood coffee house, an alternative to the big chains, and a venue for culture. We offer a genuine experience and make every attempt maintain an independent identity and spirit. An article at Southern California Homes about who we are and what we do. 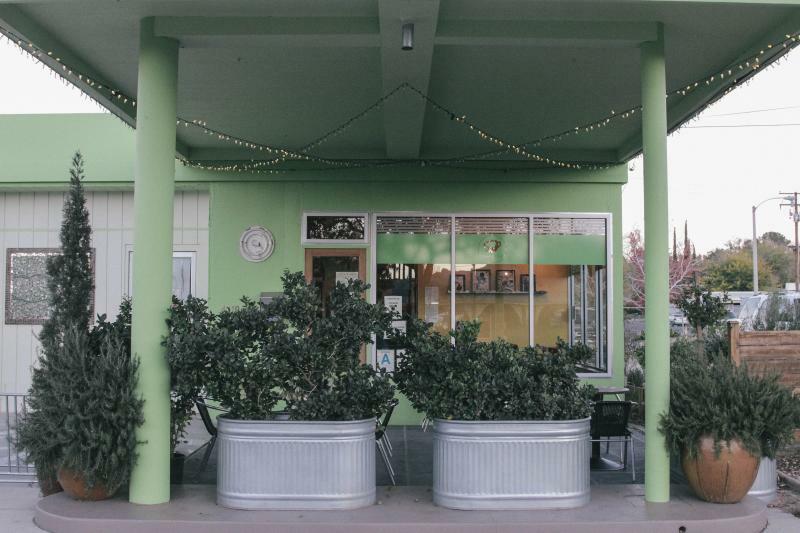 An article at Granola Shotgun about Sagebrush Cafe as an example of creative urban renewal. A movie by Karyn Ben Singer called This is Javatown was shot at Sagebrush Cafe. Bloggers and Tumblr's have been talking about our cafe: here here here and here. As an Antelope Valley art venue, there have been many events at Sagebrush Cafe and some of them still kind of live online and elsewhere. The buzz is getting around! Sagebrush Café is a place where people can come together to sit and talk, to experience fine art and be part of a local community.